My kids are going to freak out at this! A new line of Lego sets is coming out in May when the Marvel Avenger’s Movie comes out – do you just love minifigure Hulk or what? 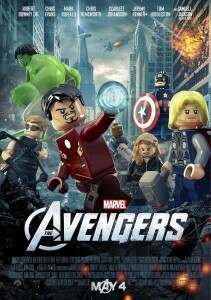 Here’s a sneak peek at the new Lego line on the Marvel website. « #TidePods Twitter Chat TONIGHT 8pmET – LG Washer/Dryer #Giveaway & More!